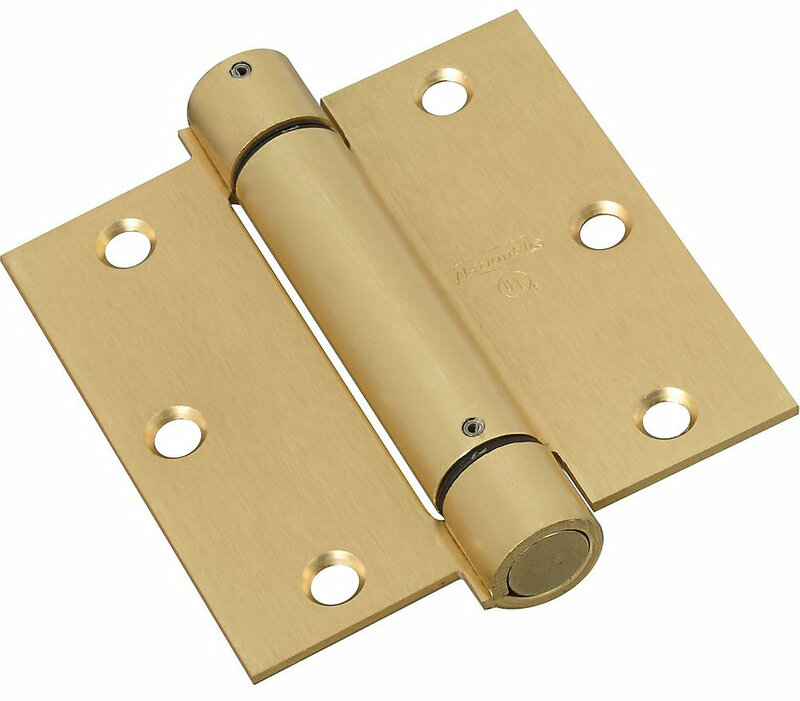 National N184-556 Square Corner 3-1/2" Spring Hinge - Brass (V520). Manufactured with cold-rolled steel. Closing speed is adjustable. Fits standard hinge cutout. Tension is adjustable. Square corners. 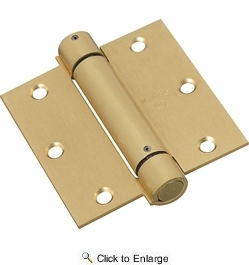 Hinge is UL approved for fire doors.